For over 30 years we have been servicing the greater United States' south/southeastern with the distribution of compressed air and fluid power equipment. We also service overseas markets. Providing quality products, excellent service, and fast delivery from our extensive inventory in Clearwater, FL and Dallas/Fort Worth, TX locations. Pennington's team of inside/outside sales representatives and customer service personnel are knowledgeable and experienced in the compressed air and fluid power industry. The VFZ 40 Series are single-stage ring compressors with a maximum pressure of 58 in. H2O, a maximum vacuum of 52 in. H2O, and a maximum capacity of 89 SCFM. The GRF series utilizes ultra-low pressure drop stainless steel heat exchangers to process compressed air flows from 10 to 2750 SCFM. 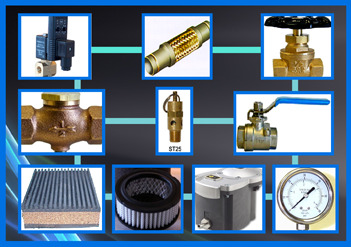 The refrigeration system is controlled by a highly reliable automatic or thermostatic expansion valve in lieu of non-adjusting capillary tube systems that can be responsible for premature refrigeration compressor failures. 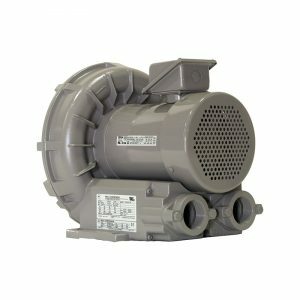 GRF dryers are designed for heavy duty industrial applications and decades of reliable operation. Pennington Associates offers tank kits to simplify installation by providing all necessary drain kit fittings, a safety release valve, manual ball valve, and pressure gauge. 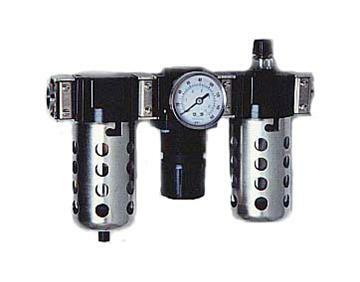 Kits are available for up to 1500 gallon tanks and up to 1624 SCFM @ 200 PSI. Prices are subject to change without notice. Download our Accessory Catalog from the "Catalogs" tab to view tank kit accessories.